Arj is an American stand-up comedian who is developing a huge following inEurope, Australia, New Zealand and all over the world. He is best known asplaying Dave in the hit HBO sitcom Flight of the Concords. He is also co-creatorof the hit off-broadway show the Marijuana-logues. A parody of the VaginaMonologues.As a stand-up he reached record sales at the Melbourne comedy festivaland tours Australia playing to sold-out crowds at large theatres. He has been onDavid Letterman twice, The Tonight show, Bill Maher''s HBO show, Last ComicStanding and multiple Just For Laughs Galas. He was also the winner of theprestigious Perrier award for best newcomer at Edinburgh. He has done 3comedy Central Specials. His youtube clips have generated millions of views. 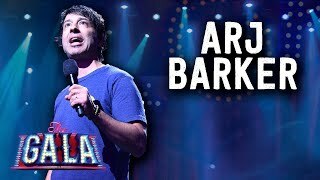 Ifyour not already an Arj Barker fan, you soon will be.